I absolutely loved this book! Historical fiction set in Cuba with two parallel stories running through it during two different tumultuous time periods. Late 1950's, Elisa, daughter of a wealthy sugar baron, falls in love with a revolutionary from Castro's regime. Eventually Elisa's family is forced to flee Cuba. 2017, Marisol, her granddaughter, charged with returning to Cuba to spread Elisa's ashes, falls in love with the country and a Cuban idealist. Romance, lies, danger, betrayal, and the beauty and tragedy that is Cuba, this story is well written and taught me much about Cuban history and all the struggles the people have endured, those who stayed and those who fled. 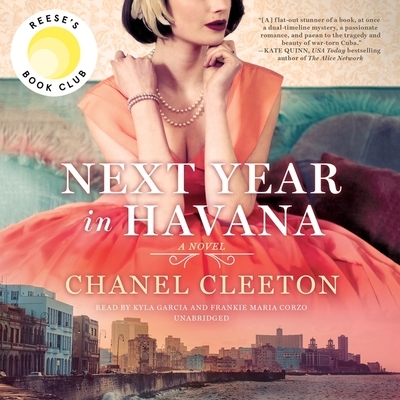 After the death of her beloved grandmother, a Cuban American woman travels to Havana, where she discovers the roots of her identity-and unearths a family secret hidden since the revolution.